Residential & Commercial Pest Management Hammersmith and Fulham W | Quality Property Care Ltd.
Say goodbye to pests! And say hello to our understanding, polite and English-speaking pest management technicians from Quality Property Care Ltd.. Book an expert visit by calling us on 020 3746 4287. Our kind consultants are here for you. We work 365 days per year even on holidays or weekends! Quality Property Care Ltd. delivers professional domestic and commercial pest control services to all people and business in Hammersmith and Fulham W and the area. We are experts in pest management and control. 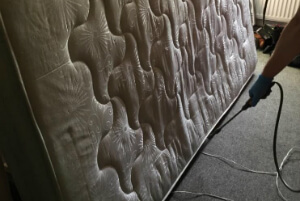 We are going to help you in dealing with pests and stop them from appearing again. 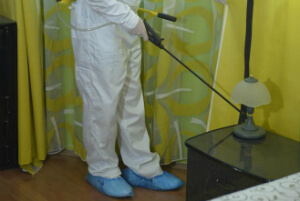 Each pest specialist in the company is professional, experienced. They are certified to use the insecticides and different baits needed for handling the pest and rodent problems. The company offers an option for a full guarantee pest control services. This includes free follow-up visits within 3 months of the treatment. More than 7,000 happy clients will be happy to highly recommend the professional pest management services offered by the company. Bees, unlike wasps, are useful not only in nature but in farming. That's why it is against the law to exterminate bees. Quality Property Care Ltd. go the extra step and preserve the bees. To do that we contact a local beekeeper who comes in and carefully removes, if possible, the entire nest. He relocates it in its own bee hive on a place that is safer for both pests and property owners. Say goodbye to your pest problem once and for all with the professional pest control services of Quality Property Care Ltd. right away. Contact us on 020 3746 4287. Our customer service is available. Get more details on the service and how we will handle your particular case. You can learn more about our current offers and deals.